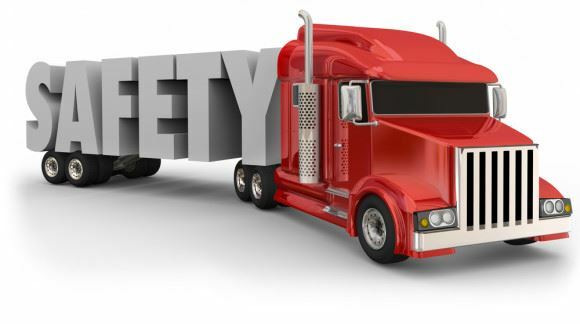 Safety is a key aspect to the transportation industry. PMTA helps each individual member with safety problems. Members are able to connect directly with PMTA’s safety director to ask questions and receive information and clarification. We also offer industry news, safety compliance advice and DOT audit preparation. Safety Management Council (SMC) is a group of members concerned about the safe and efficient operation of their companies. In monthly meetings, written communications, and networking, they stay on the cutting edge on safety topics. Best of all, membership is free to all PMTA members. For more information, contact Ken Morder, Safety Director, at kmorder@pmta.org. Driver of the Month/Year recognizes professional drivers for outstanding work. Each month, PMTA’s Safety Management Council selects a driver among the nominees. They consider driving record, customer service, and commitment. Each year, one of the Drivers of the Month is named Driver of the Year. To complete a nomination form, click HERE. Pennsylvania Truck Driving Championships promote safe driving and foster a commitment to safety. Each year, more than 150 truck drivers compete in nine categories. They must complete a written examination, personal interview, pre-trip inspection test, and the field, or driving, test. The 2019 TDCs will be held on June 7-8, 2019 at the Wyndham Garden, York, PA. Information regarding registration and sponsorship will be available soon. Fleet Safety Awards recognize motor carriers for the safe operation of their vehicles. Awards are based on miles traveled and number of accidents. For a fillable Fleet Safety Award entry form, click HERE. (this form will open in Excel) | Be sure to view the 2019 Contest Rules Awards will be presented at the annual Fleet Safety Luncheon, held this year on May 17, 2019 during the Annual Membership Conference in State College, PA. Youth Driving Championships are the Super Bowl for student drivers who have advanced to the state finals from regional contests. The championships are for high school students age 16 and older, with two students from each of the 11 regions of the state advancing to the state competition. Top three winners receive college scholarships. National Truck Driver Appreciation Week is observed each year nationwide to honor America’s three million plus professional truck drivers in recognition for their hard work in moving the goods and products that create our national economy. Pennsylvania’s Road Team is a small group of professional truck drivers who represent the industry in the community. They meet with organizations, schools, and community groups to talk about highway safety and trucking issues.